Giving birth via impromptu instrumentals to glimpses of synchronistic magic, the bizarre participants of this ensemble remain agnostic: are they magicians, or merely charlatans? 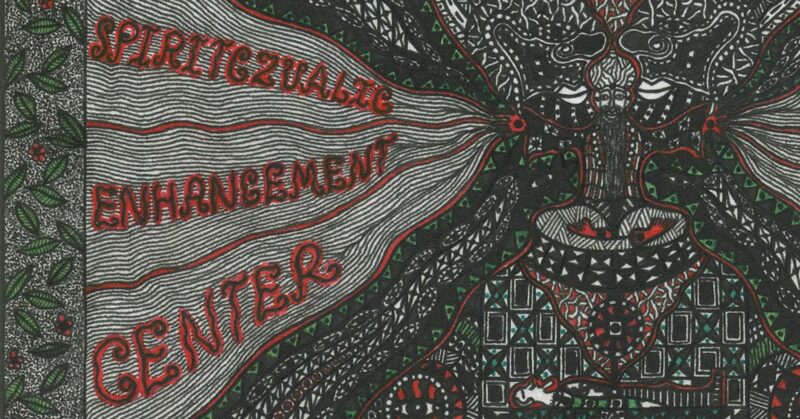 Due to the illegality of its foundation, the Spiritczualic Enhancement Center now operates in exile. Witnesses of its ritualistic gatherings have indeed reported moments of divination – and possibly sorcery. This raises the question, will the audience once again behold the allurement of Higher Sources – or rather testify to trickery..